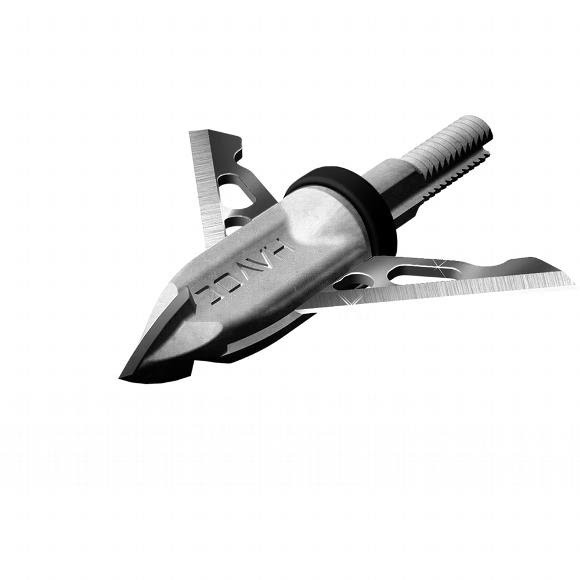 The G 5 Havoc XP expandable, two-bladed broadhead is designed for a wider range of kinetic energy. The 1.5" blades have a smaller profile providing extra penetration for lower poundage or longer shots. The black DualTrap retention ring is designed for a wider range of bow draw weights. The slightly softer design keeps blades engaged for accurate arrow flight and easily deploys on impact. The G 5 Havoc XP expandable, two-bladed broadhead is designed for a wider range of kinetic energy. The 1.5" blades have a smaller profile providing extra penetration for lower poundage or longer shots. The black DualTrap retention ring is designed for a wider range of bow draw weights. The slightly softer design keeps blades engaged for accurate arrow flight and easily deploys on impact. It&apos;s surgically precise construction and 1.5" cut give you the ultimate advantage in the field, no game is off limits. The Havoc XP has Lutz Blades, this unique kind of German sharpened metal is the sharpest blade in the industry. It&apos;s not whether you can afford to have it, it&apos;s whether you can afford not to have it.